The Datakit NX write interface is now also able to keep wireframe data and to write assemblies. OMRON Corporation will introduce on July 1, 2016, the IO-Link-compliant Photoelectric Sensors E3Z, Color Mark Photoelectric Sensors E3S-DC Series, Proximity Sensors E2E and E2EQ Series, and IO-Link Master Units GX and NX Series all at once as a first step of integrating sensors into the IoT (Internet of things), ideal for use at manufacturing sites. 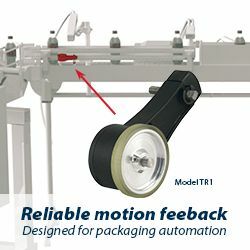 This launch of the IO-Link-compliant sensors is a big step in making production equipment smarter to add various information and communication functions to over 100,000 specifications of control components for factory automation (FA devices) and achieve integration of FA and ICT (information and communications technology). The new 94,170 square foot office and lab facility is 20,000 square feet larger than the previous cumulative locations and will ultimately house nearly 200 employees when at full capacity.